I would like to wish all of you a very Happy New Year. Along with my wishes for you to have a wonderful new year’s eve celebration with your family and friends comes my plead and prayer for everyone to be safe. Remember how precious life is and how it can change in the blink of an eye. If you’re attending a party of an event, please designate a non- drinking driver of call tipsy tow. The Automobile Club of Southern California is offering its free Tipsy Tow service during the New Year’s Eve holiday for the 20th year. The community service, which over two decades has taken thousands of drinking drivers off the road on New Year’s Eve, is available from 6 p.m. on Thursday, Dec. 31, to 6 a.m. on Friday, Jan. 1, to help remove drinking drivers from the road. Tipsy Tow is available in the 13 Southern California counties served by the Auto Club. In Orange County, The Orange County Transportation Authority is offering free rides from 6:00 p.m. on Thursday to 2:30 a.m. on Friday. If you’re in the Los Angeles area Metro is your designated driver for New Year’s Eve. To help you ring in the New Year safely, Metro will operate 24-hour, overnight service on Metro Rail, plus Orange and Silver Lines. Free rides will be offered for all bus and rail service from 9pm on December 31, 2015, until 2am on the morning of January 1, 2016. All Metro Rail Line Stations with latched gates will be unlatched during this time. Regular fares are in effect at 2am on New Year’s Day. Note: All Metro Rail lines and the Metro Orange Line will operate all night every 20 minutes on New Year’s Eve. The Metro Silver Line will operate every 60 minutes during this time. Remember, you could safe someone’s life by calling UBER or using one of the services to help you get home safely. 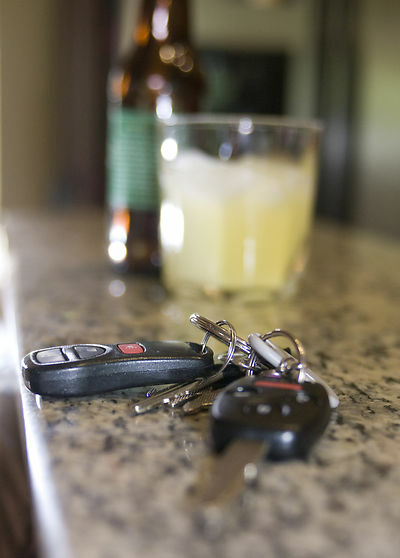 AAA estimates a first time misdemeanor DUI conviction can cost about $15,688. Happy New Year!!! I want to by saying “Thank you”. I appreciate that you have come to my blog and are reading my posts. I hope that you are finding the family-fun activities that encourage family time, nature and STEAM related events helpful. I started this blog to refine my life, my purpose and place. As our pastor Rick Warren says “Our deepest life message often comes out of our deepest pain“. For me that would be the loss of my son due to a drunk driver. So, naturally the holidays are concerning to me. I pray that each and every one of you and your families have a fun and safe New Year’s. Next, let’s be realistic, it’s New Year’s, people will drink and that’s fine – just please don’t drink and drive. So, with this mind – I have a request….actually, I am pleading with you. I have put together a list of options for planning a safe ride to and from your destination on New Years Eve, there are even options that will help get their car home, safely. I am asking that you please pass this information along, repost this entire post, like it and/or share it on facebook, email it to someone, share it on any social media outlet you use. If we can help just one person, save one life – it’s worth it. Again, thank you for going along with me on this journey, I wish you and yours a very Happy New Year’s. Tipsy Tow service provides a complimentary ride and vehicle tow up to seven miles from the point of pickup to drivers who have consumed alcohol on New Year’s Eve and the Fourth of July. Tipsy Tow service is available to members and non-members. Ask for a Tipsy Tow by calling 1-800-400-4222. Nothing’s worse than waking up New Year’s Day with regrets. So while we can’t do anything about that champagne hangover, we can make sure you have a #SurgeFreeNYE. Seriously! We’re celebrating the launch of two brand new Flywheel cities, Sacramento and San Diego, and the end of 2014 with a night full of $10 rides. From 8pm Wednesday (12/31/14) til 3am Thursday (1/1/15) all Flywheel rides in San Francisco, Seattle, Sacramento and San Diego will be charged a flat rate of $10. Rides exceeding $50 will be charged the metered balance. And to help make sure you get a ride on such a crazy night, Flywheel is incentivizing our drivers with a generous tip. Pretty sweet. Last New Year’s Eve people were charged up to seven times the normal rate by other services – not cool! This New Year’s Eve is all about the Benjamins (staying in your wallet). If you don’t have it yet, get the app: iOS | Android – Questions? Shoot us an e-mail or drop us a tweet. To keep everyone safe on the roads, MADD has joined forces with Lyft and UBER. Together, we urge all adults that if your plans include alcohol then plan ahead and designate a non-drinking driver before the celebrations begin. Both services will be donating to MADD’s mission – Every ride can save a life. UBER: Enter promo code MADDNYE from 6:00 p.m. local time New Year’s Eve to 6:00 a.m. local time New Year’s Day and UBER will donate $1 to MADD for every ride nationwide. Lyft: Starting 6:00 a.m. local time December 29 through 6:00 a.m. local time New Year’s Day, pledge to get home safe at Lyft.com/NYE and $1 per pledge nationwide will benefit MADD. The services offered in this site include Designated Driver service that will drive you home in your own car or pick up services. Celebrate the New Year, by letting OCTA do the driving! To promote safe travels, OCTA is continuing its tradition of offering free bus rides on New Year’s Eve. From 6:00 p.m. Wednesday, Dec. 31, 2014 until 2:30 a.m., Thursday, January 1, 2015, ride any fixed-route bus, and your ride is free! Nearly 100,000 people have taken advantage of this special, free bus service over the past 12 years. With 600 buses travelling on 77 designated routes and stopping at over 6,500 bus stops in Orange County, taking the bus is the safest way to celebrate the New Year! Extended bus service in Fullerton – Heading to Fullerton’s annual First Night in Fullerton event, then be sure to take the bus and avoid the parking hassle? OCTA is providing extended service on Routes 24, 26, 43, 143 make riding the bus and easy and convenient way to enjoy this special event. Taking the bus is easy – Even if you’ve never ridden the bus before, it’s easy to ride the bus. Use our simple onlinetrip planner to find out where to catch the bus, and the time it leaves. It’s a good idea to plan your return trip at the same time as not all buses travel past midnight. Remember to arrive at your bus stop 10 minutes before your bus is expected to arrive. If you’re traveling before 6:00 p.m., be sure to have your $2 bus fare ready; exact change is required. Riding after 6:00 p.m. on New Year’s Eve? Your ride is free! Don’t forget to plan your trip home as well, not all buses run past midnight. √ Reservations for two at that fancy restaurant you’ve always wanted to try – check. √ The perfect outfit for that night on the town – check. √ Your favorite bottle of bubbly for that midnight toast – check. • A designated non-drinking driver – check? After the ball drops and rings in the New Year, sadly it also rings in the deadliest day on the roads due to drunk driving. In 2013, 70 people died on New Year’s Day alone. To keep everyone safe on the roads, MADD is joining forces with Lyft and UBER. Together, we urge all adults that if your plans include alcohol then plan ahead and designate a non-drinking driver before the celebrations begin. Don’t start the New Year in tragedy. Make a resolution to designate a non-drinking driver 100% of the time to make sure you, your loved ones and everyone on the roads gets home safely. In the bar industry and law enforcement, tonight is know as “Black Wednesday . The Wednesday night or Thanksgiving Eve has emerged as one of the biggest alcohol drinking nights of the year, second only to New Year’s Eve. Please take some time to talk to your with your kids and young adults about alcohol. As always remember to plan ahead for a safe way home before you start drinking. Children are our greatest resource and our future. That’s why MADD is taking action to help protect the children who are needlessly put in danger every day in this country. While drunk driving is recognized as a violent crime, driving impaired with child passengers is not commonly acknowledged as a form of child endangerment or child abuse. No one should have to ride with an impaired driver. 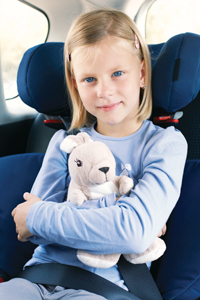 However, children have little choice when the driver is a parent or an adult caregiver. Calmly suggest alternative transportation, recommend the driver postpone travel or offer to drive the child, if appropriate. Avoid a heated altercation that can put the child in further danger. Call 911 at the time of the incident with as much information as possible (such as name of the driver, vehicle description and/or license plate, and destination). Also be sure to give them your name and contact information for responding officers. Document the situation so that your notes can be used later. Notify another parent or caregiver of the situation. Teach children techniques for keeping themselves safe if they are ever forced to ride with an impaired driver (see below). Report your concerns to state or local child protective agencies. Buckle-up tight and use your booster seat, if needed. Put all of your belongings on the floor. Do not bother the driver and stay quiet. Tell a trusted grown-up immediately about any unsafe ride. This week is Child Passenger Safety Week, a time to evaluate how to keep our kids safe on the roads. Car crashes are a leading cause of death for children, and too many of those are caused by drunk driving. In 2012, 239 child passengers (under age 15) were killed in drunk driving crashes—representing 20 percent of all child traffic fatalities. And of those, more than half (52 percent) were passengers in a vehicle with the drunk driver. MADD receives more than 17,000 phone calls every year related to child endangerment. No child should be in danger from drunk driving, especially by those entrusted to keep them safe. 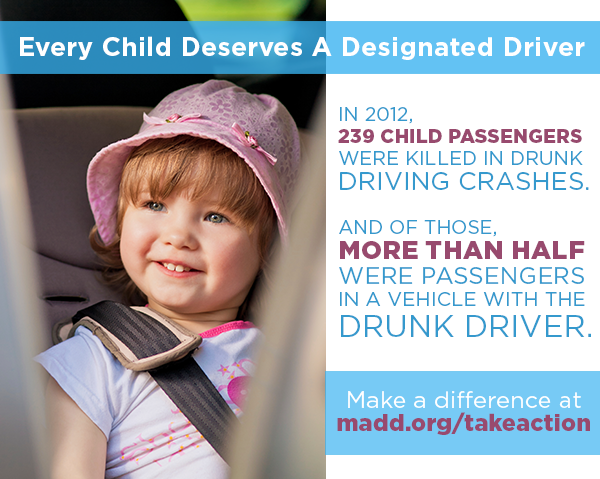 Drunk driving is criminal and irresponsible, and driving drunk with a child in the vehicle is a form of child abuse. While 46 states and the District of Columbia have laws enhancing penalties for those who drive drunk with a child passenger in a vehicle, the laws vary widely in severity and definition of a child passenger. For example, in New York it is a felony to drive drunk with a child passenger under the age of 16, while in Wisconsin, the same offense is a misdemeanor. Click here to see if your state has DUI Child Endangerment Laws. MADD is urging lawmakers to enact legislation to protect our most vulnerable population, children. Please email your representatives letting them know that you want a stronger DUI child endangerment law in your state and that every child deserves a non-drinking designated driver. If someone you know is driving drunk with a child in the car, we have more information and strategies available for you here. Or call our toll-free, 24-hour Help Line at 877-MADD-HELP. Football season is upon us! Are your ready to cheer on your favorite team? Tailgating is a great way to get together with friends and fellow fans before a game to show your team spirit. However, it can also be a challenging environment to monitor alcohol use. If you are planning on hosting or participating in a tailgating party, make sure to check out our Tailgating Gameplan, and read our safe tailgating tips to make sure everyone stays safe, healthy and happy this football season. No matter how you celebrate or who you cheer for, don’t ruin game day by getting a DUI, or much worse. Always put safety before the party this football season by designating a non-drinking driver before you leave the house. Labor Day is celebrated by many Americans as the symbolic end of summer. With back to school and fall just around the corner, many families take advantage of this long summer weekend and head out on a last summer vacation or a day trip to the beach, pool or lake. But holidays like Labor Day can be an especially dangerous time on America’s roadways. In 2012, there were 147 people killed in drunk driving crashes over Labor Day weekend. To put that into perspective, throughout the year someone is killed in a drunk driving crash every 51 minutes, on average. Over the Labor Day weekend, that statistic jumps to one every 34 minutes. Thankfully, law enforcement will be out in force ready to arrest drunk drivers who put lives at risk from August 15 through September 1, covering the end of summer and the busy Labor Day holiday weekend. Research shows that these campaigns result in a 20-percent decrease in drunk driving deaths. With one person, on average, dying every 34 minutes in a drunk-driving crash over Labor Day weekend, that’s a lot of lives that could be saved! If you plan to be on the road during this dangerous time period, please be careful, and remember to spread the word that driving after drinking is simply not worth the risk … so don’t take the chance. New federal legislation was introduced on Tuesday, July 8, 2014. The proposed law was presented by Representative Nita Lowey (D-NY). This law would require that states require all convicted drunk driving offenders to install an ignition interlock for a minimum of six months for all convicted drunk drivers. Did you know that the average drunk driver has driven drunk 87 times before being caught? Yep, think about that. I’m praying that this bill is passed and that drinking and driving will finally be taken more seriously. Representative Nita Lowey introduced a bill in the House of Representatives that would push states to require the use of ignition interlock devices for a minimum of six months for all convicted drunk driving offenders. States that fail to comply would face a reduction in federal transportation funding. The bill is called “Alisa’s Law,” in honor of the daughter of MADD National President Jan Withers. Yesterday would have been Alisa’s 38th birthday had her life not been tragically cut short by a drunk driver when she was just 15. If passed, this legislation would represent a significant milestone for MADD’s Campaign to Eliminate Drunk Driving®. When the Campaign was launched in 2006, New Mexico was the only state to require all convicted drunk drivers to use an ignition interlock. Today, 24 states have passed similar legislation, and California instituted a pilot program that covers over 13 million people. The most recent count shows that over 300,000 interlocks are installed in the United States. Every major traffic safety organization including the National Transportation Safety Board and AAA has endorsed the concept. As part of the MAP-21 surface transportation bill, Congress approved an ignition interlock incentive grant program to give financial incentives to states which pass all offender interlock legislation. Alisa’s Law is the next major step towards a nation without drunk driving, a crime that still causes almost one-out-of three highway deaths. MADD thanks Congresswoman Lowey for her leadership to help eliminate drunk driving. Drinks to Drink when your Not Drinking? MADD Virgin Drinks and Walgreens think you might like some options. MADD Virgin Drinks are conceived and developed by Hill Street Marketing Inc. and offer a sophisticated and delicious alternatives for designated drivers and those who prefer not to drink. MADD Virgin Drinks are sold exclusively at nearly 3,000 participating Walgreens stores across the United States. Walgreens and MADD Virgin Drinks will contribute 5% of retail sales in the U.S. and 10% of net sales in Canada to MADD and MADD Canada. These contributions will support MADD’s ongoing efforts to eliminate drunk driving and to continue offering support to the victims of this completely preventable crime. 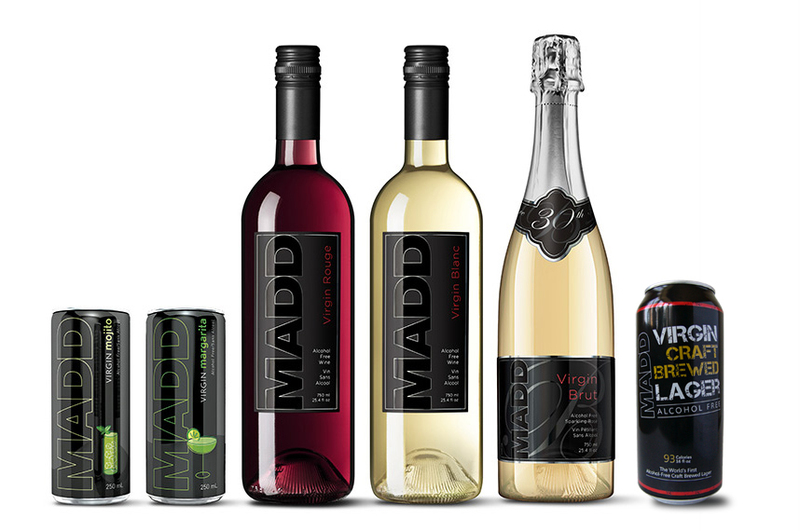 MADD Virgin Drinks has a complete range of ready-to-serve Alcohol Free drinks. Although these drink alternatives contain no alcohol, MADD Virgin Drinks will only be sold to adults 21 and older, as to not send a mixed message to those under 21. Be a loving and caring Host for the 4th of the July, MADD encourage’s party hosts to always offer alcohol-free beverages for non-drinking designated drivers and others who prefer not to drink alcohol.